This “Easy Slow Cooker Recipes For Busy People ” post contains slow cooker recipes that you will want to create now. This post contains affiliate links/ads. See disclosure policy. Crockpots or slow cookers are just some of the best inventions of our time. Well, that's according to me who's in love with crockpots. Crockpots are a savior for those busy people. Yes, with just one touch of a button and a handful of ingredients, you can make a gourmet meal in no time. It's just that simple. It's so simple even a 3-year old can make a meal using a crockpot (that's based on my experience of letting my daughter put all the ingredients into the crockpot Haha). Just because it is simple to use doesn't mean that you can't make a great tasting meal. There are a ton of crockpot recipes out there that you can use to create great meals in no time and on budget. My family uses our crockpot almost every week most especially during the days when we just don't feel like cooking. We have made chicken fajitas, meatballs in BBQ sauce, macaroni and cheese, and so many other meals using our beloved crockpot. Basically, you can create just about any meals with that simple appliance. Did you know that, in some cases, crockpot and slow cooker mean different things? A crockpot is a type of slow cooker but not all slow cookers are crockpots. According to Mommy of A Monster, crockpot is a type of slower cooker with a stoneware pot, which sits inside a surrounding heater element. A slower cooker, on the other hand, uses a metal or is a metal pot, which sits on top of a heating surface. This post contains both crockpot and slow cooker recipes. Busy people who don't have time to cook. Students who are always doing something other than cooking. People who are on budget. People who can't cook but want to make good-tasting food. People who want to make something new without going through the hassle of following complicated recipes. If you have a crockpot, then, head to the meat of this post. If you don't have one just yet, here are some of the crockpots you should consider purchasing. The prices range from cheap to expensive and they have different additional functions but does the same purpose (i.e. cooking food). Here are some of the crockpots sold online. If you don't have one yet, I highly recommend you buy one now. While it may cost you a few dollars now, it is a good investment especially if you use it over and over again. You'll be surprised what you can do with just a simple appliance. Here are some of the best slow cooker recipes that my friendly co-bloggers shared with me. Frankly speaking, I have made some of them and will make the rest that I haven't tried just yet. They are delicious. You'll thank your crockpot once you've tasted these slow cooker recipes. 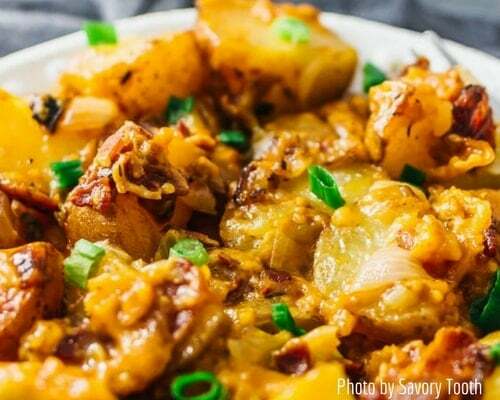 When you combine potatoes, bacon, and cheddar cheese, what do you think is the result? The answer is magic or a food to crave for. Making this recipe is definitely worth the wait. The best thing about this recipe is that it's super easy to make. All you need is throw all the ingredients into the slow cooker and let your favorite slow cooker do the magic. Seriously, it is so easy to make. Who doesn't like pulled pork? Who doesn't like coke pulled pork? I honestly don't know of any person from my circle who doesn't like or might not like coke pulled pork. This recipe is perfect for an easy weeknight meal. Soda is not just for drinking. This recipe proves that. You can eat this as is or you can put it to slider rolls for some mini sandwiches to enjoy at a summer picnic. Chicken Fajitas Pasta sounds yummy? Well, it is. Chicken Fajitas and pasta are staples in any party that we have. This is why I decided to add this recipe in the list. If you are stuck with limited ingredients and time, then, this recipe is for you. If you are busy but want to eat good, then, this recipe is for you. The ingredients are basic that they can be found in your kitchen or pantry. If you haven't tried combining chicken fajitas and pasta in one dish, then, I highly recommend you try it right away. The good aspect of having a crockpot is that you can create just about any meal, dessert, or something else with it. Yes, you can make desserts using a crockpot. 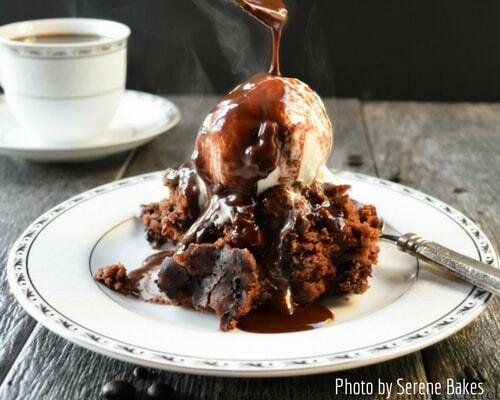 I had to include this Crock Pot Hot Fudge Cake on the list not only because it sounds good but also because it is a dessert that we love to eat again and again. I tried this recipe yesterday because I love chocolate cake. I must say that this is a hot fudge cake to die for. If you are looking for a great tasting food that's gluten-free, then, I recommend you check out this recipe. This is not only gluten-free and yummy but it can also be made in no time. This recipe will serve 6-8 people. The recipe calls for meat. So, if you are very particular with meat (i.e. you like specific kind of meat), then, this is the recipe for you. You can combine beef and pork or something else. It's all up to you. You can use fresh ingredients or canned ingredients to create this dish. Basically, you can make this dish based on your own preference. 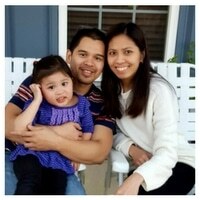 I like this one because my daughter is on gluten-free diet (i.e. she has allergy). For those who have allergy and need to eat gluten-free, you should consider adding this one on your list. If you are looking for flavorful, sweet, and tangy recipe for dinner, then, you are looking at the right recipe. The chicken and brown rice in this recipe is cook in the rich and creamy enchilada sauce. What makes it even better is that while the food is cooking, the rice absorbs all of the the flavor of the garlic, onion, oregano, and chili powder. This means that your food is packed with so much flavor. For those who like spicy food, the full flavor of fire roasted chili and sweet onion adds to the depth of flavor in this dish. So, basically, this recipe is a feast of flavor you don't want to not try. This Slow Cooker Pork Ragu & Fettuccine recipe is delicious and so simple to create. While I was looking at the recipe, I can't help but drool because the meal simply looks good. The recipe calls for some basic ingredients such as carrots, garlic, oregano, fettuccine, and grated Parmesan. If you have kids who don't like vegetables, you can cut the carrots so tiny that they will dissolve into the sauce. My wife and I make our own fettuccine from scratch. 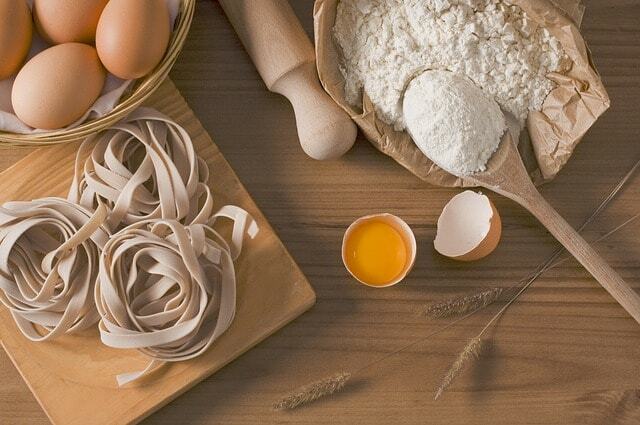 We surely will try this recipe but we will use the made-from-scratch pasta. I can't wait to try this recipe. 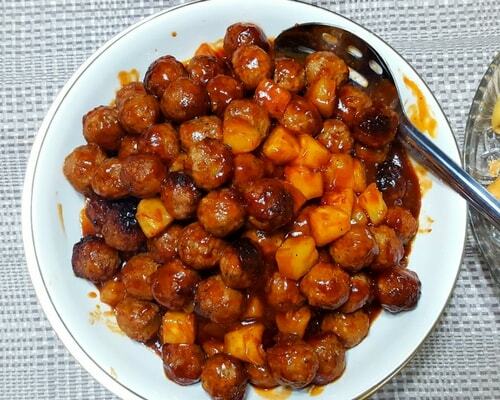 This Slow Cooker Pineapple BBQ Meatballs recipe is a favorite in our home. My wife makes this almost every week. I’m not kidding. Whenever I hear crock pot, the first thing that comes to my mind is crock pot beef roast. When Danielle provided me her recipe for crock pot beef roast, I didn't think twice to put it on my list. This recipe can be made for dinner, lunch, or any time of the day. The ingredients you need are beef roast, packages of onion soup mix, water, red potatoes, and baby carrots. No fancy ingredients to include as you can see. Whether it's football time or basketball time or something else, this nacho bar recipe is something you want to try. It's not only super easy but also super tasty. My kid loves nachos especially when there's a cheese dip. My wife tried this recipe yesterday and I will tell that we loved it. These are some of the best slow cooker recipes I've seen and tasted. Do you know of any other slow cooker recipes you like to make and want to share? Please share them with us.